Over the weekend Dominik and myself had a great conversation with Roger Lapuh, Product Line Manager and Architect at Avaya. 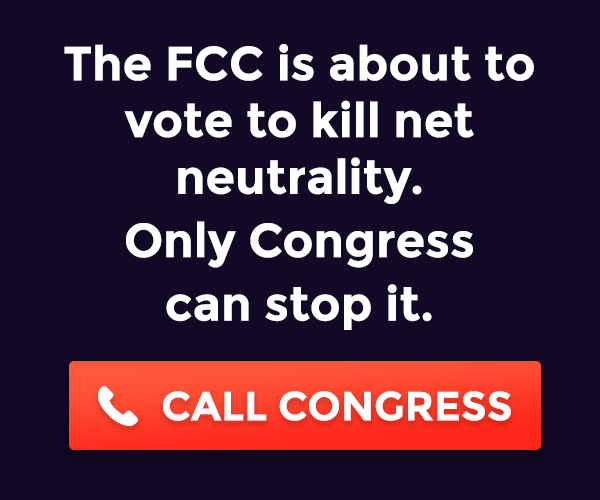 We recorded the conversation and posted it up to the Network Broadcast Storm podcast. If your interested in some of the back story behind SMLT you might find the conversation interesting. What is a MLT, DMLT, SMLT, SLT or IST? I get asked quite frequently to explain what is a MLT, DMLT, SMLT, SLT or IST are and how they work. MLT (MultiLink Trunk) a proprietary bonding protocol to bond two or more physical links into a single virtual link between two switches. DMLT (Distributed MultiLink Trunk) a proprietary bonding protocol to bond two or more physical links into a single virtual link across multiple cards or switches (in a stack configuration) between two switches. SMLT (Split MultiLink Trunk) a proprietary bonding protocol to bond two or more physical links into a single virtual link between two core cluster switches and a single edge/distribution switch. SLT (Single Port Split MultiLink Trunk – formerly S-SMLT for Single Split MultiLink Trunk) a proprietary bonding protocol to bond two physical links into a single virtual link between two core switches and a single edge/distribution switch. This is just an SMLT with only two ports maximum – one from each core/distribution switch. IST (InterSwitch Trunk) a proprietary bonding protocol between two core cluster switches that allows them to deploy SMLT or SLT topologies to edge/distribution switches. This is just an MLT which is used to bridge the VLANs between the two cluster switches. The IST also provides a transport for the two cluster switches to exchange ARP and FDB/MAC table information. You can use MLT or DMLT between two switches in what I would refer to as a traditional trunking application. A Distributed MultiLink Trunk provides additional redundancy by spreading the links out across multiple line cards or switches in a stack depending on the switch model/configuration. An MLT/DMLT is Avaya’s proprietary equivalent to Cisco’s EtherChannel or PortChannel feature. 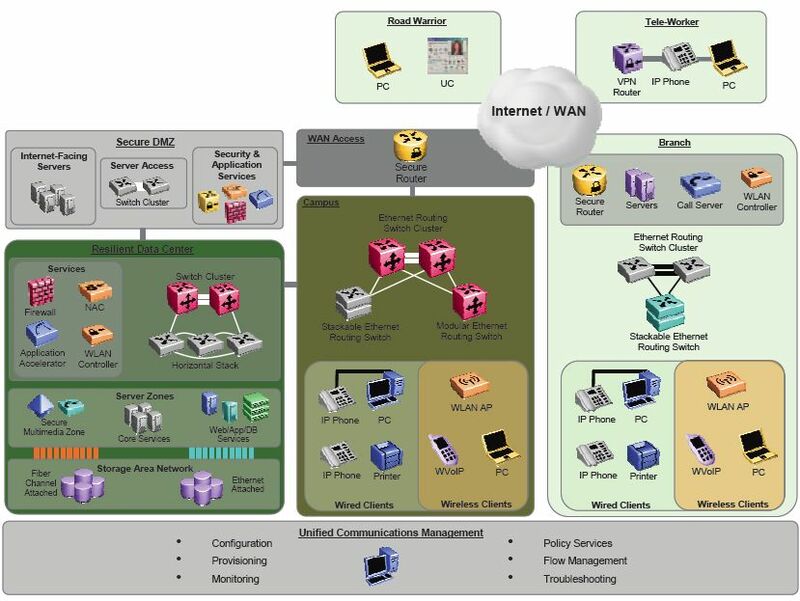 An Avaya MLT or DMLT configuration can interoperate with Cisco’s EtherChannel or PortChannel configuration. It’s important to point out that Avaya switches will (by default) only send out BPDU frames on the lowest number if index of a MLT or DMLT trunk. This can be overridden in newer software releases with the command “mlt 1 bpdu all-ports“. Cisco switches will send out BPDU frames on all ports in an EtherChannel or PortChannel configuration. You can use SMLT or SLT between two cluster switches and a single edge/distribution switch or stack essentially creating a triangle topology without the need for Spanning Tree. Both links between the core and edge/distribution are actively forwarding traffic. An SMLT/SLT is Avaya’s proprietary equivalent to Cisco’s Virtual PortChannel feature. When do you use one over the other, SMLT or SLT? The later software releases only allowed between 32 and 64 MLTs per switch. If you had more than 31 edge switches you would run out of available MLTs, so Avaya came up with SLT – you can have as many SLTs as you have ports in the switch. SMLT will allow you to bond between 2 and 8 ports into a single virtual trunk on each cluster switch while SLT is designed to allow two ports max (one per cluster switch). It’s important to note that you can utilize LACP with MLT, DMLT or SMLT ports just a you can with PortChannel groups. The majority of closets I deploy utilizing SLT in the cluster core although there are a few closets that require more than 2 x 1Gbps uplinks so for those we utilize a SMLT configuration allowing up to 16 x 1Gbps links between the core cluster switches and edge/distribution switches. Avaya has not extended the functionality of the Spanning Tree Protocol to run over an IST/SMLT topology. You can’t run STP between your core cluster switches and your edge switch/stack. That doesn’t mean that we can abandon STP altogether. 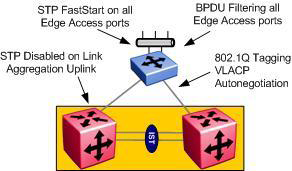 It’s critical that Spanning Tree be utilized on all the edge ports in FastStart (PortFast) mode to eliminate the possibility of anyone accidentally creating a loop between any two ports in the edge switch. I also recommend that BPDU filtering be enabled on all edge ports along with Broadcast and Multicast rate-limiting. In an Avaya network there is a special secret sauce that helps to bring everything together providing timely failure detection and recovery in an MLT, DMLT, IST, SMLT and SLT topology. VLACP is a lightweight heartbeat protocol utilized between two Avaya switches to detect Layer 2 connectivity issues between two endpoints. The trick these days isn’t detecting a failure but knowing when to restore a failed path taking into account the time it takes to rebuild routing and forward tables. VLACP is an Avaya proprietary protocol so it will only work between two Avaya switches. If you’d like to know more about VLACP or how to configure it you can read my article entitled, Is VLACP right for me? It was recently pointed out to me that I had never written a post documenting how to configure SMLT to a edge/closet switch. While there are plenty of examples in the Avaya/Nortel technical guides I’ll humor the folks that are interested. 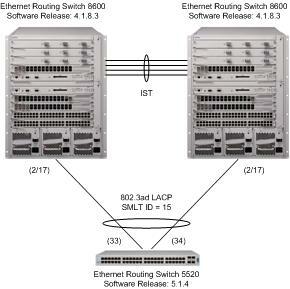 In this example I’ll configure a pair of ERS 8600 switches utilizing SMLT over SLT (Single Link Trunks). Let’s assume that these switches are already setup in an IST pair (future post?) and that we want to add a new edge/closet switch to the network. We’ll utilize port 1/7 on both ERS 8600 switches to connect to ports 1/47 and 1/48 on the edge switch. The edge switch should be setup as an MLT. You can refer to this post for additional details regarding how to configure the edge switch. This command will enable tagging to make the port an 802.1q trunk port. This will enable us to trunk multiple VLANs over the single interface, it will also preserve an Layer 2 QoS/CoS information. This command will discard any non 802.1q tagged frames that are received on the port. This can be a valuable defense measure in protecting your network. What would happen if the edge switch was accidentally factory reset with both uplinks still connected? A loop would result, however, with this feature all frames from the edge switch will be discarded until the switch is reconfigured. This command will set the PVID to our management VLAN. This value will only be considered if the port receives a frame which doesn’t have an 802.1q header and hence is missing the VLAN ID. The command “untagged-frames-discard enable” essentially negates this command but we set it anyway so we’re consistent in our configurations. This command will enable CP-Limit to protect the core network from too many Multicast or broadcast packets flooding the link. CP-Limit will shutdown the link to try and protect the core network. This is just one of many defense mechanisms available to help protect your network. This command will enable DiffServ (Layer 3 QoS) on the switch port and set it for Trusted, so the switch will honor all DiffServ marked packets and give those packets the appropriate priority and queuing. These commands will enable Simple Loop Protection Protocol (SLPP) to help detect any misconfiguration of the MultiLink trunks on the edge/closet switch. These commands will disable Multiple Spanning Tree Protocol (MSTP) no the switch ports. Spanning Tree is not compatible with Avaya’s Split Trunking Protocol since we are quite literally creating a loop in the physical topology. If this switch was running STP the command would like so, ethernet 1/7 stg 1 stp disable. Here’s the command that you’ve been waiting for … this command essentially creates a S-SMLT or Single Link Trunk (SLT). The ID used in the connection needs to match the peer ERS 8600 switch. Design note – in my networks I use numbers to denote the different IDFs or ICRs. I usually add 100 to those numbers for the SMLT ID and VLAN IDs. Since this is IDF #7 (or ICR #7) the SMLT ID is 100 + 7 = 107 and the VLAN for this closet will eventually be 107. If I was still using VRRP the VRRP ID would also be 107. You can use whatever number you’d like but they must match on the two ERS 8600s! These commands enable VLACP on the port and utilize the recommended values from Avaya. 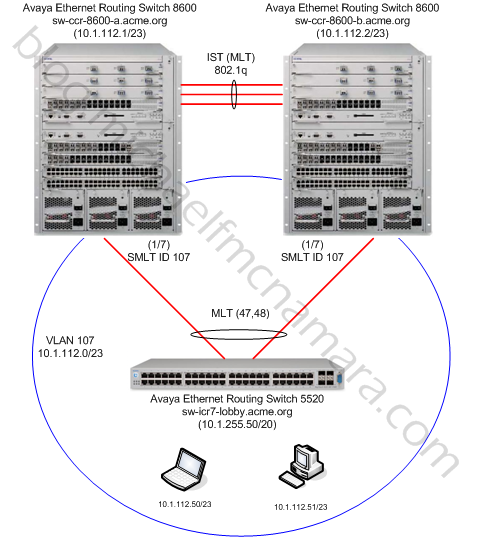 You should repeat the commands above in Step 1 on both Avaya Ethernet Routing Switch 8600s, substitute the appropriate port numbers and SMLT ID. Design note – in my networks the edge/closet switches are still Layer 2 only so I perform all the routing in the core switches. I will usually have a “default” VLAN per edge/closet switch although I do have multiple VLANs that span multiple edge/closet switches. With the port configured now we’ll build the VLAN that we’ll associate with most ports on the edge switch. config vlan 107 create byport-mstprstp 1 name "10-1-112-0/23"
This command will add VLAN 107 to our IST which in this case happens to be MLT ID 1. This command will add VLAN 107 to port 1/7 which we are using to connect our edge/closet switch. This command will set the default FDB aging time for all MAC information learned in this VLAN to 6 hours and 1 second. This is a best practice recommendation by Avaya to help reduce the ARP broadcast storms that can result when the FDB table expires a large number of entries which then in turn causes them to be removed from the ARP table causing the switch to re-ARP for them. This command will configure a Layer 3 interface on VLAN 107 with the IP address of 10.1.112.1/23. Your mac_offset will differ depending on how many IP interfaces you already have deployed on your switch. This command will enable IGMP snooping and proxy on the VLAN. These commands will enable DHCP relay on the VLAN, and forward all DHCP requests to 10.1.1.100. This command will enable OSPF on the VLAN and will set it to passive (best practice for edge/closet VLANs). This command will enable RSMLT which replaces the VRRP functionality. We set the holdup-timer to infinity, we don’t want the ERS 8600 to stop accepting packets for it’s peer at anytime. You should repeat the commands above in Step 2 on both Avaya Ethernet Routing Switch 8600s, substitute the appropriate IP address and ports. There are a few items that we still need to take care of to round out the configuration. These commands will enable SLPP globally and will also enable SLPP in VLAN 107. Here are some commands you can use to verify the configuration and operation. You can check the state of VLACP on port 1/7 to confirm that VLACP is enable and up. You can check the SONMP topology tables to make sure you have the correct port(s). March 2011 – Added recommendation to use MLT advance mode on edge Ayava stackable switches when used with ERS 8000 square/full mesh topologies for IP based traffic. Changed VSP CP Limit configuration from port level to MLT level. VRRP hold-down timers can be set in the ERS 5000 6.2 release. It’s well worth the read in my opinion. Nortel recently released a highly technical document, Large Campus Technical Solution Guide, that should be a great benefit Nortel customers. This document covers an amazing amount of information and is a treasure trove to organizations looking for best practice approaches to managing and deploying their Nortel data equipment. 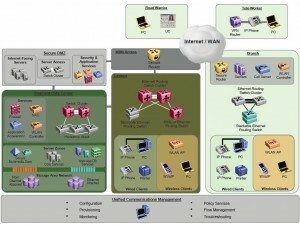 The document covers topics such as convergence between IP telephony and data networking, chassis versus stackable, Layer 2 versus Layer 3 at the edge, redundancy, high availability, clustering (IST/SMLT), two tier and three tier network designs, VLANs, Spanning Tree, Control Plane Rate Limit (cp-limit), Extended CP-Limit (ext-cp-limit), VLACP, SLPP, QoS, VRRP, RSMLT, ECMP, Multicast, EAPoL and the list goes on and on. And best of all they provide configuration examples for a large number of the scenarios which are always helpful. A lot of the material I cover here in my blog is covered in this document. I’ll probably pull a few excerpts from this document over the next few months and make some posts out of it, expanding on some of the examples and filling in any unanswered blanks. I’m impressed with effort that Nortel has made in trying to “get out the word”. This is really a great tool for Nortel customers! Let’s hope that Avaya will allow these folks to continue with their success.